Background: FlavorsHookKids.org is part of the California Tobacco Control Program’s largest effort to educate parents and community leaders about how flavored tobacco and e-cigarette products—that are designed to look like snacks and flash drives—are hooking kids when their brains are most susceptible to addiction. 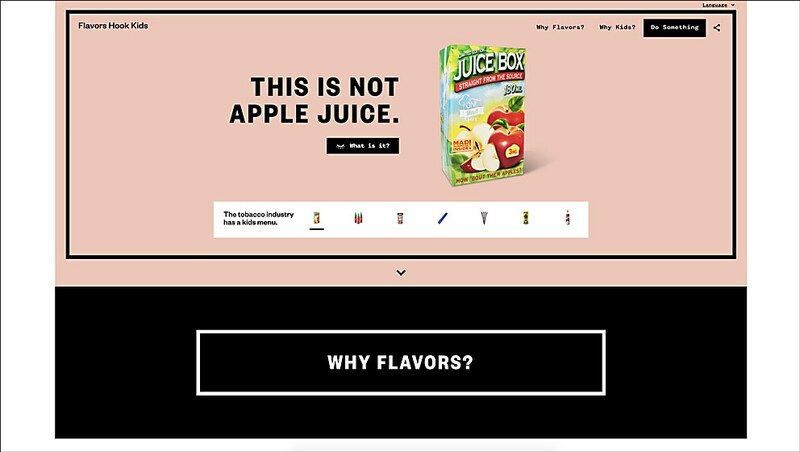 Created in close collaboration with design firm Beyond, the site promotes learning about the dangers of flavored tobacco through interactive experiences. 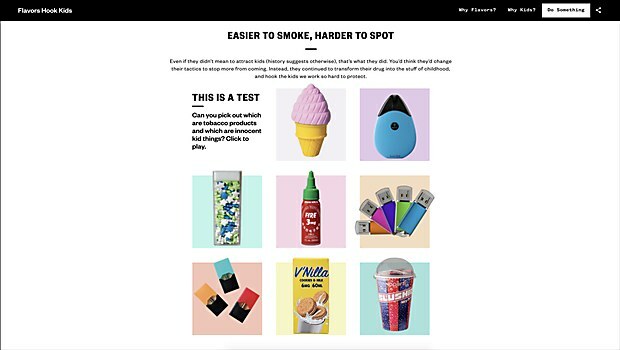 Highlights: The online hub is designed to broaden and deepen users’ understanding of this very real danger—and then provide specific actions to take to get engaged in curbing flavored tobacco usage among kids. 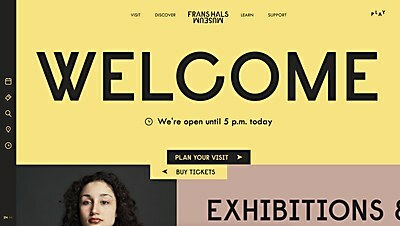 It was important to build on the striking campaign imagery by offering interactive experiences like quizzes, videos and action tools. The site also launched simultaneously in five languages—Spanish, Chinese, Korean, Vietnamese and English—to reach as many Californians as possible. Challenges: Making sure we found ways to engage users with the content and inspire them to take action. We needed to do more than simply grab their attention and inform them of the problem. 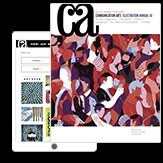 Favorite details: The “Do Something” section is singled out in the navigation and all roads lead to further actions users can take—from joining a local coalition in California, to sending a letter of concern to the mayor, to downloading a presentation that users can share with their communities. We’re also proud of the visual impact that gets users to see items that look like ordinary snacks and school supplies in a whole new way. 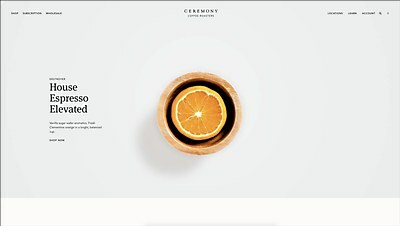 Technical features: Since this campaign will evolve as awareness increases, we’ve built in ways to understand what parts of the site people are engaging with most— and from what parts of California and in what languages. We’ve already got an additional round of content and functionality set to launch—including a timeline of how the problem came to be and a recent history that explains the explosion of flavors and new forms of tobacco. The new site for the New Hampshire–based art colony navigates the tension between history and modernity.